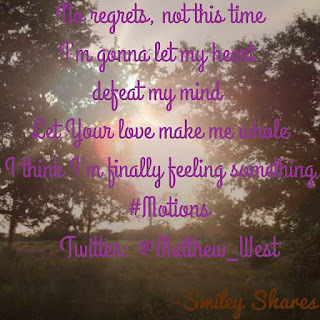 As stated in my blog post from yesterday, which hopefully you have read “The Motions” by Matthew West has been the story of my life for the past few years or so. It wasn’t until 3 weeks ago, that I finally started to feel something. For those of you that know my family know that there are some incredible women of Faith in it. Yet, their beliefs were never forced on me. They did however teach us about God, and answer any questions we may have. As I was growing we stopped attending church, but God never left me or my family. When I was 3 years old, while my mom was taking the groceries out of the car I decided to wonder off. There was a car reversing and next thing I knew, I was underneath the car. I remember it so well. I also remember that my mom took the bag of frozen vegetable to help where I had hit my back. I may have been little, but I had already seen just how much He loves me. A couple of years later, I remember asking my mom that I wanted God to be a part of my life. We prayed. Fast forward a bit, I became a teenager. I wasn’t a terrible one, but I also did things that I am not proud of. Lied to my parents, kept things away from them, and started to disrespect them. This kept going. My relationship with God became very distant. Thankfully, when I was a junior in High School, the most amazing opportunity came about. My family became a part of a new church in our community. We were a part of the starting group. Even before the pastor had been selected we were already there! I remember we used to meet in an apartment; it was just my mom, sister, my aunt, cousins, me and a couple of people from the “big church” that wanted to start the church. Thanks to these amazing people I was able to go to a small weekend retreat. This helped me. During the retreat I was able to focus on establishing that relationship that I had forgotten about. Once I left, it was very difficult to continue with it. Since it was a retreat for High School (aged) youth, there came a time where I was no longer able to be part of the staff, but was too young to be considered for “mom” (chaperone). I stopped attending. This is where things got tough. It would be difficult to through each mistake I made after that. The thing is that honestly, I feel like I lost myself. In 2012, I personally feel like I hit rock bottom. I was at my lowest. My actions were regretful. I hurt myself, but I also hurt those around me. I lost friends, made enemies. I look back and I don’t even know where or how it happened. How did I get here? Where was the little girl who cared so much about worshiping? Who was I now? Somehow I survived that year, you would think that would have taken me straight back to God but not how I would have hoped. It did however teach me a lot about myself. About who were really the people that cared for me. Made me reevaluate my values and my priorities. It is crazy how someone can change when they forget/ignore the important things. I began to do things the right way. I fixed relationships, and appreciated the ones that were always there for me. Even though I was doing the “right” things, being nice, caring for others, trying not to argue, I prayed for myself, I prayed for others. My life was a routine; I was just going through the motions. I went back to chaperone during the retreat and it filled me with joy. There was still something missing. The thing is that all of this regret and guilt weighted so heavy on me. Thoughts like “what if people find out?” “What if people judge me?” I have younger girls that have told me they look up to me, I try to be honest with them, but I never want them to know that Mrs. Vianca did “this” and “that”. How could I forgive myself? How could God forgive me, when I had disappointed Him? 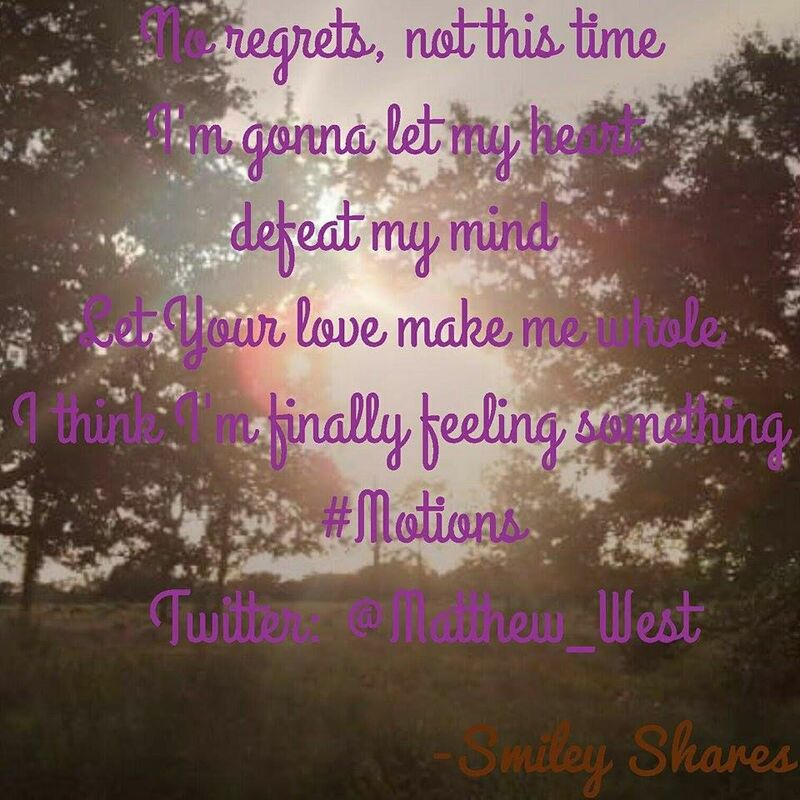 3 weeks ago at church, we talked about going through the motions. Someone asked “how do we stop going through them?” The response given was something around “the answer may be different for everyone, but it is important to give it all up to God.”I got home and prayed. Prayed about everything, asked for forgiveness, and for guidance, about this blog (I had my doubts). Next morning, I woke up, with help I started working on this blog. I even had trouble coming up with the name and prayed about that as well. Received a message at 3am with my answer. I was sure God had forgiven me, and began to feel relieved. I just hadn't forgiven myself. I'm not gonna lie, this hit home. I, too, feel as if I'm going about life the wrong way. When we're (humans) faced with things that we can't understand or just don't want to accept as reality, we tend to turn our backs on God. I have lost faith and even stopped believing in Him - I contemplated suicide. I almost went through with it as well but I think that's when He helped me and I had a renewed sense of purpose. I feel like we think that we can do things, or handle situations without Him. Therefore we begin to ignore Him. It isn't until we are at our lowest that we realize- "Hey all of this would have been so much easier if I turned to Him". I am thankful knowing and seeing just how much He has already helped us both. Thank you, for being transparent. God deals with us each based on where we are in our walk. I believe the hardest thing for a believer to do is accept that God accepts us unconditionally. He is such an awesome God and his grace is always sufficient. Yes, it is hard to wrap our head around how amazing He is. How He is able to love us unconditionally! I've been there too. 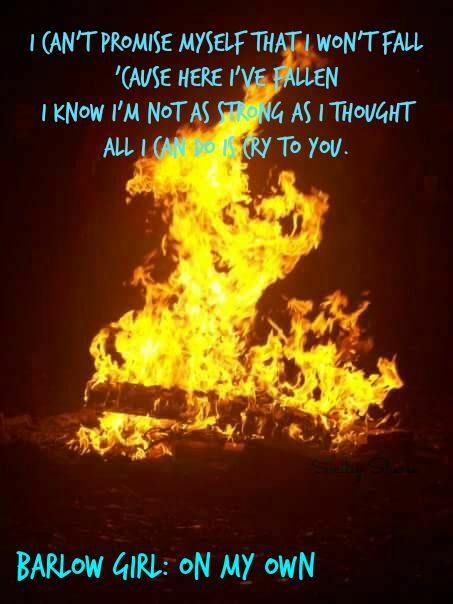 But in order to stop going through the motions I had to face the pain and hurt I had buried and tried to ignore. It was really difficult but it opened the door to a relationship with Him and it brought me back to life inside! Yes maam! That is what I am currently going through, and loving it! Very honest testimony! Thanks for sharing! Man, I relate to your story so well. Especially being in the in between stage of too old for youth group but not old enough to be part of the "adult" congregation. I still struggle with that so my husband and I have just kind of blended in with both, doing stuff with the kids and trying to fit in with the adults. This is a great post and I'm so glad you had the courage to share! Looking forward to reading much more! Hopefully you were able to read the second part to this. & Yes, being in the "in between" stage was always weird at my old church,even though I loved it...Since we moved I am not attending a church where their YA is more for college students and older, we even have some young married couples. I definitely feel more comfortable there, which is making everything easier.